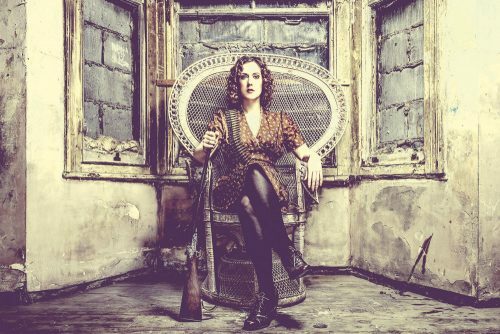 Grainne Maguire’s profile as a comedian has risen sharply in the UK over the past year, as the highly political entertainer appeared on current affairs programmes such as Question Time and Panorama. Maguire joined the Labour Party when she moved to London five years ago, saying she felt drawn to politics because of her desire to create change. “I’ve always felt passionate about social justice and upset by unfairness, and I’ve always tried to just do something. I had this feeling that I needed something bigger in my life that wasn’t comedy. It can be a very selfish profession,” she says. It’s not just UK politics however. The 35-year-old caused a media storm in Ireland when she, and many other of her female followers, publicly messaged Taoiseach Enda Kenny with details of their period. “I thought if I, an Irish woman with a microphone don’t talk about my country’s abortion laws, who will? But it’s so hard. I live in London, so ranting about the cruelties of Ireland’s constitution is usually met with uncomfortable bored bafflement and whenever I brought it up at gigs at home, the laughter as well as energy palpably drained from the room. “So one day on the way to meet a friend I just thought, feck it. If the Government thinks my body is their business I’ll just take it at its word. I’ll live tweet my menstrual cycle to Enda Kenny. “I realised to my genuine shock how much shame, not just embarrassment so many people in Ireland still feel talking about periods. I was taken aback by the genuine anger I received from men and women for having the audacity to talk about my menstrual cycle in public. Language like “ladylike” “undignified” and “crude” words I’d previously associated with evil priests in Maeve Binchy novels suddenly appeared on my very modern twitter feed. The issue, and hundreds of tweets to the Taoiseach’s account were never responded to by Enda Kenny’s office. And Maguire is as vocal about her political opinions over here, and feels that her act as a current affairs comedian is essential to raising awareness of political issues. “What’s amazing about stand-up is you’ve got this performer lit onstage in a darkened room, and everybody else is in the dark. It’s a very special place. We don’t have many places in our culture where you know this person’s being truthful, and you know there’s no agenda there. You know that they could say anything. That’s why comedy is so visceral and so exciting. “When you’re watching comedy, you’re connected to another human being, and that’s a great way of crushing through so much nonsense. I think it really opens up people’s minds. “I’m not a political comedian in the sense that I try to convince people of a point of view. I prefer pointing out the need for change on issues that really matter to people, things we can all understand. But it has taken a long road for the comedian to get to where she has, and she feels like female comedians need to earn their trade rather than the jobs that go to up-and-coming funnymen who get by on ‘potential’. When I started out, there were lots of male comedians who were just as bad as I was, but they were all so confident and entitled!